On the other hand we can have really hard days; most of us struggle with something. Yet we don’t talk about our struggles or challenges. We don’t share our hardships. That would make us weak. That might push people away. We question — would my friends still love me if they knew my inner struggles and weaknesses? Painly is one of the fastest growing networks – devoted to the people who wish to share their pain and struggles. We use our smartphones 24/7 for things that are not that important. Taking a bigger step with social intelligence, Painly has been designed to help people heal or make their lives a bit easier. Communicating and sharing with people who are just like you or just wish to help can be the best way to get you on the road of recovery. No matter if it’s physical or emotional pain, sharing it will seem easier when you have someone that understands and is willing to help you. 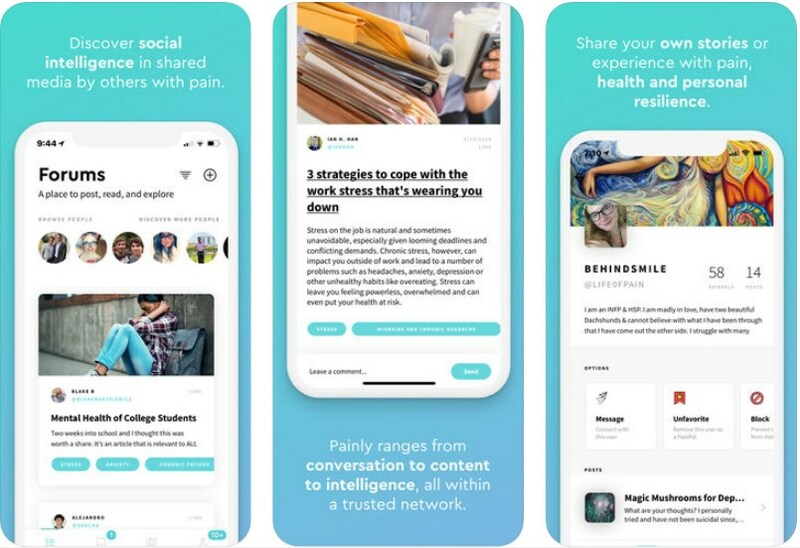 Painly is giving a chance to everyone who wishes to share their daily struggles. Joining a network that is completely about humanity, can be your way on the road to recovery. Painly allows you to find PainPals so you can both share your pains in order to help each other. Depression, addiction, diabetes or even cancer – you now have a chance to share it with someone. You can browse for pictures, videos, message boards or create one yourself so you can connect with PainPals. Start your journey to recovery today by downloading Painly for free from the App Store.